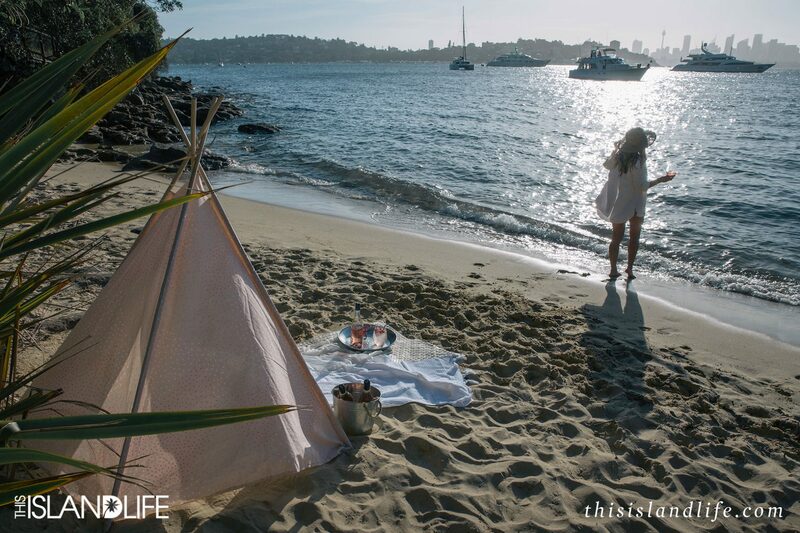 Summer to me is so much more than just bikinis, boardies and the beach. It’s a state of mind, a way of life. 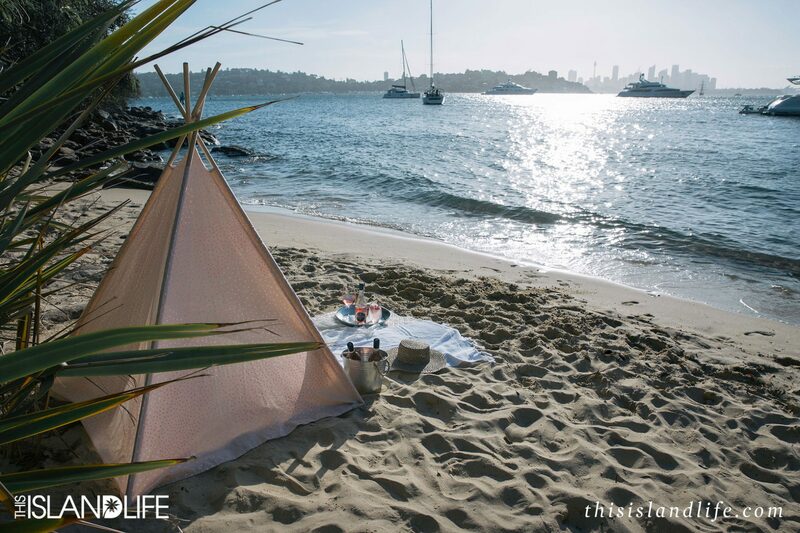 It’s that feeling you get when you wake up to the sound of the ocean on a perfect summer day. 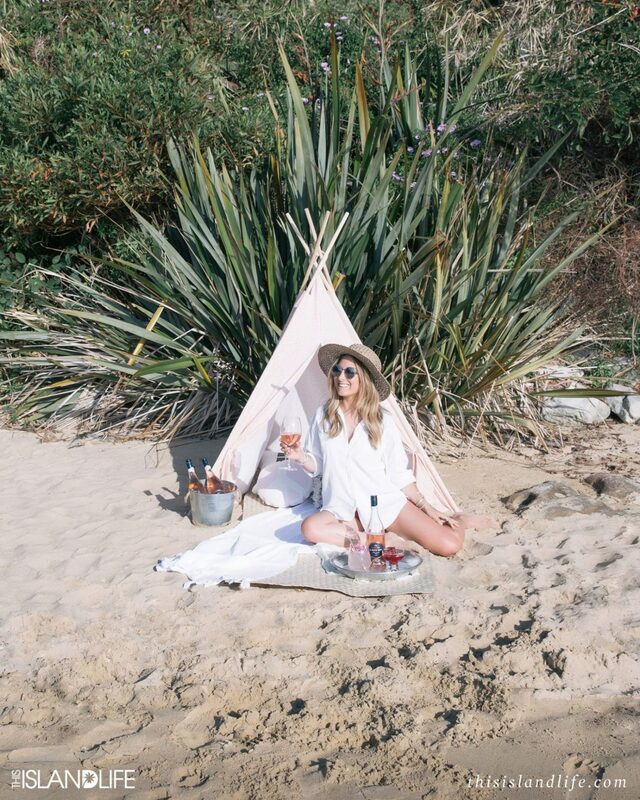 It’s the warm sun on your face, the wet sand between your toes and that good mood you just can’t shake. As much as I love travelling the world to uncover new destinations and experiences, when it’s summer in Australia, there’s no place I’d rather be. 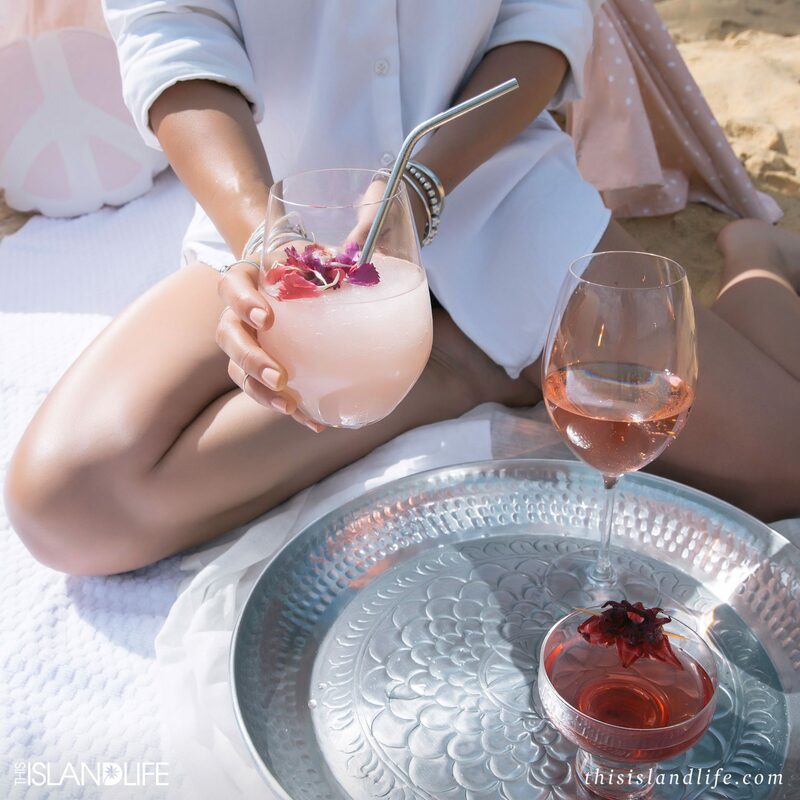 Hot days turn into balmy nights, where beautiful sunsets light up the sky, providing the perfect backdrop for an evening filled with laughter, life chats and wine. 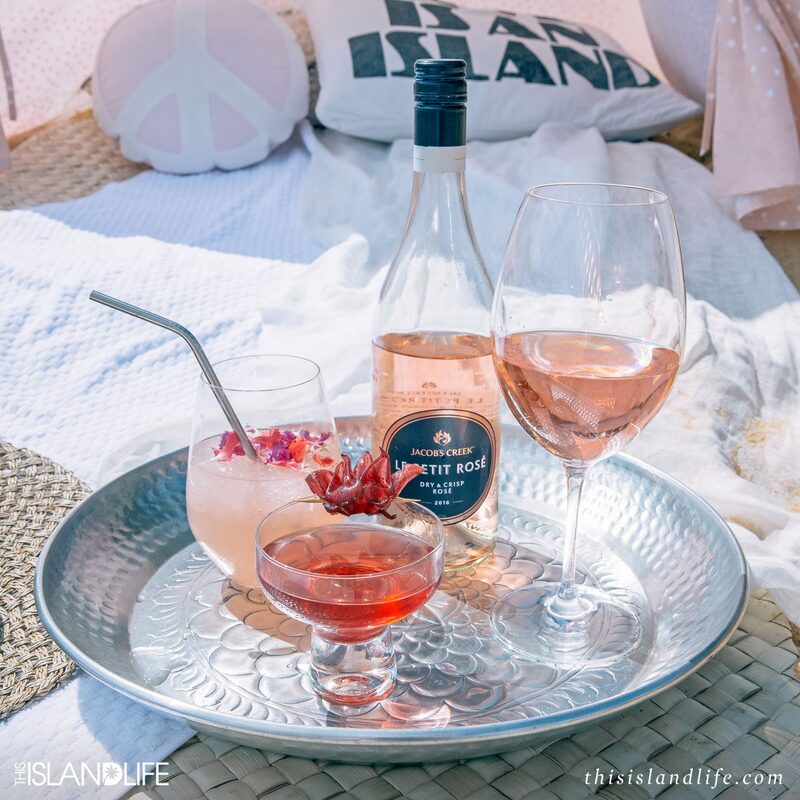 When it comes to my drink of choice over summer, it has to be rosé, but not just any rosé. 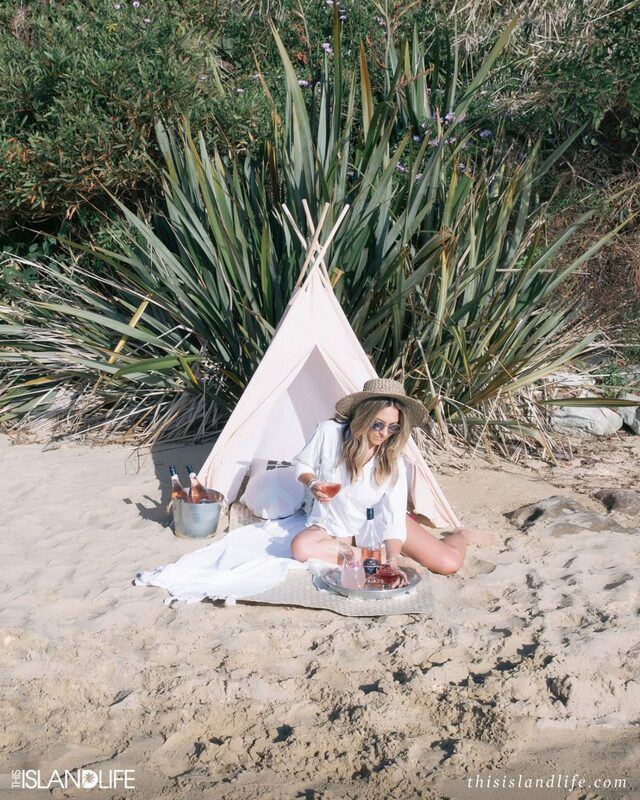 I’m a big fan of rosé from the Provence Region in France, which is known for producing some of the world’s best rosé, characterised by dry, crisp and refreshing notes. I’m also extremely passionate about Australian wines – we have some incredible wine regions producing wine that captures the unique flavours of Australian fruit. 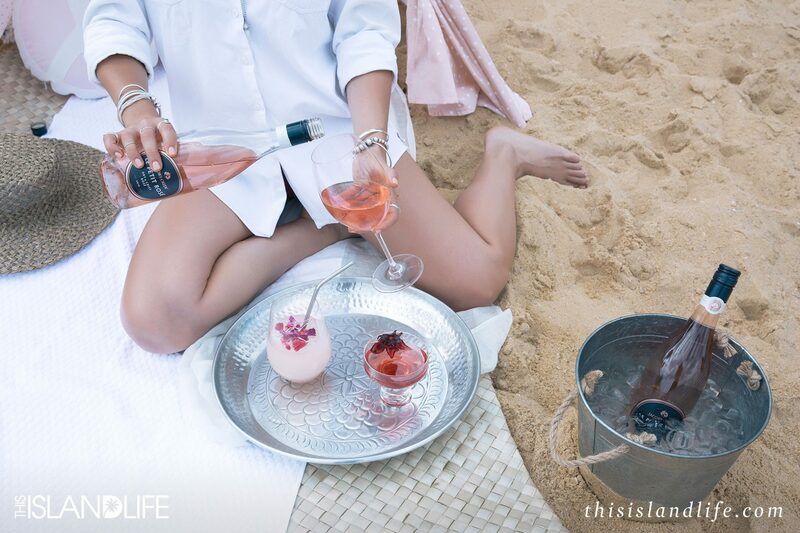 So when Jacob’s Creek asked me to try out their new Le Petit Rosé over summer, it was the perfect choice. 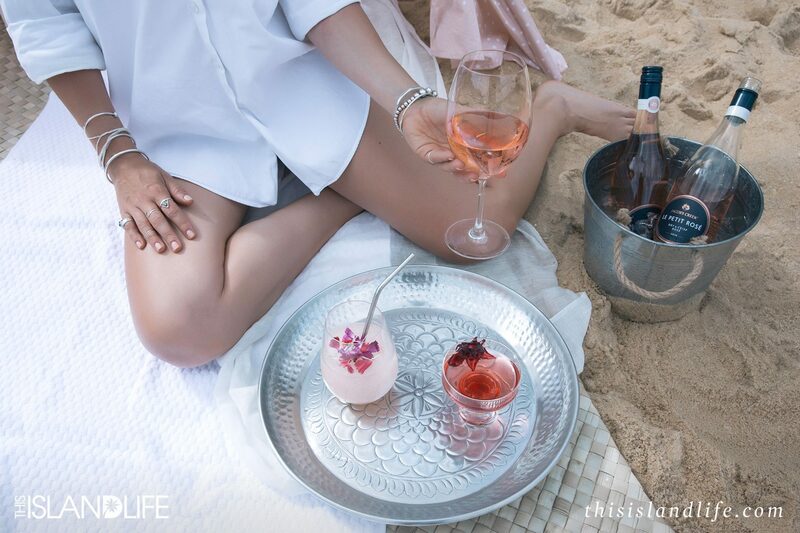 Le Petit Rosé is made from Australian grapes by Australian winemakers, but captures the style of French rosé. 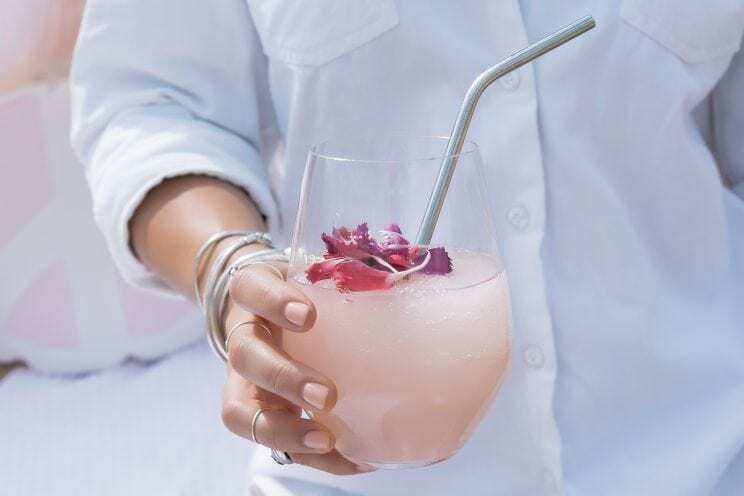 If you haven’t heard of frosé yet, I’m about to blow your mind. 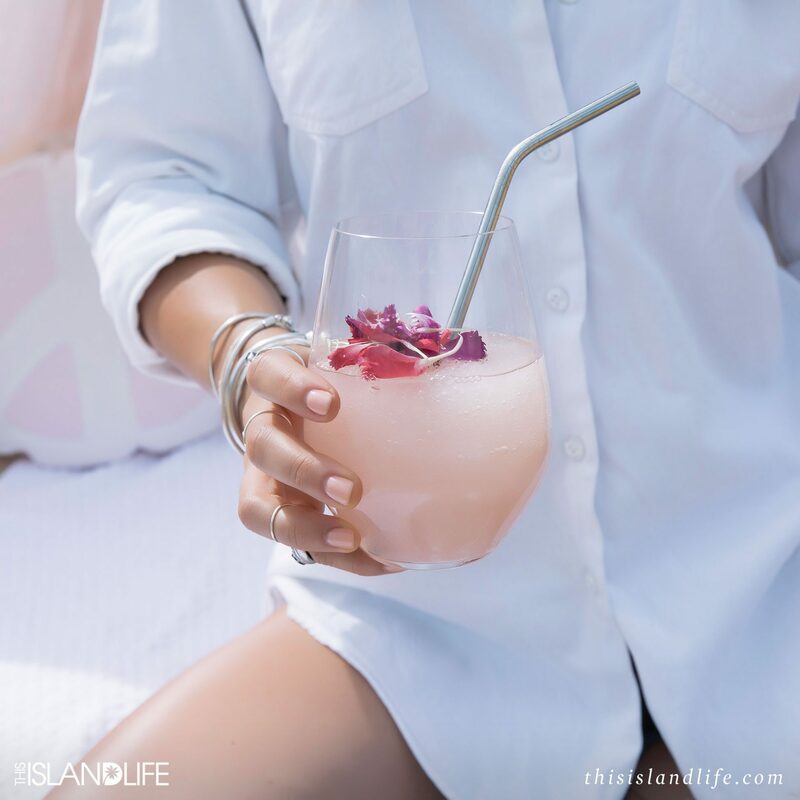 It’s frozen rosé slushie. That’s right, a slushie made out of delicious wine that is the drink of the summer season. 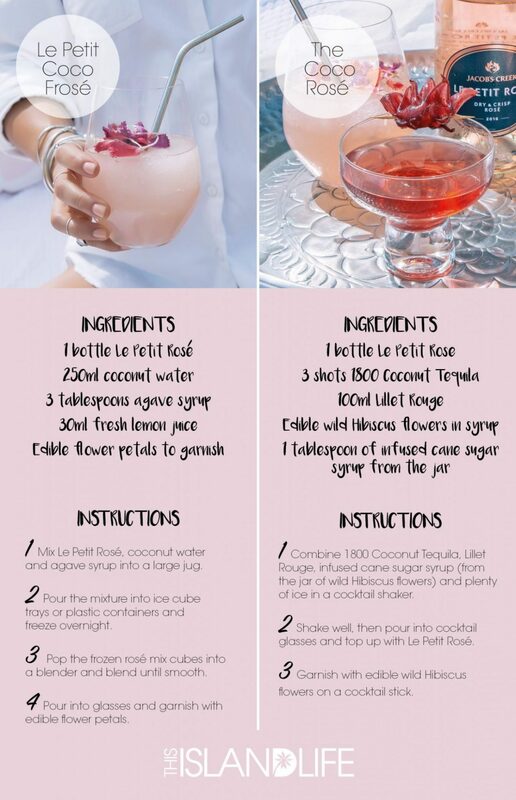 While there are many different frosé recipes to try that include adding fresh strawberries or grapefruit juice, I have kept my recipe simple, as I wanted to taste the notes of the Le Petit Rosé. Both of these recipes include a coconut twist, because as you know, I’m obsessed with coconuts and everything relating to island life. 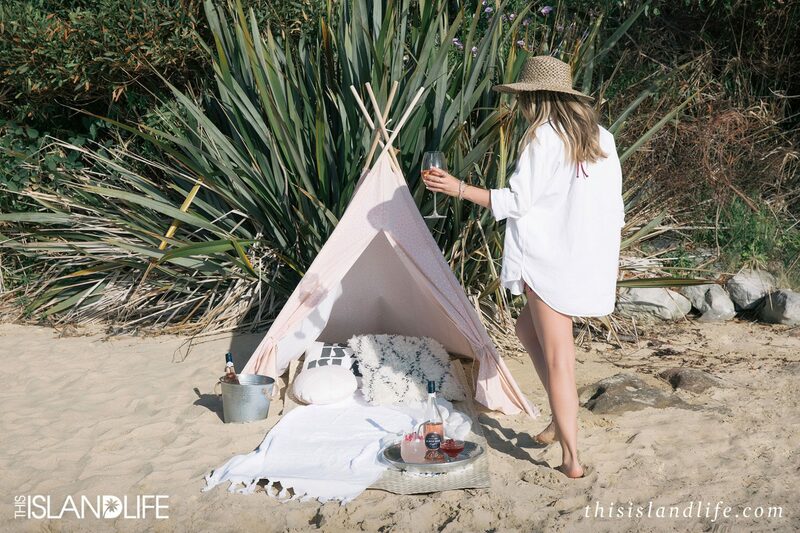 What I love about Jacob’s Creek’s Le Petit Rosé is just how much they love summer and the lifestyle that goes with it – it’s what Jacob’s Creek refer to as ‘The Rosé Way’. So to celebrate the launch of Le Petit Rosé and living ‘The Rosé Way’, Jacob’s Creek threw a party at a secret harbourside mansion in Elizabeth Bay, Sydney. 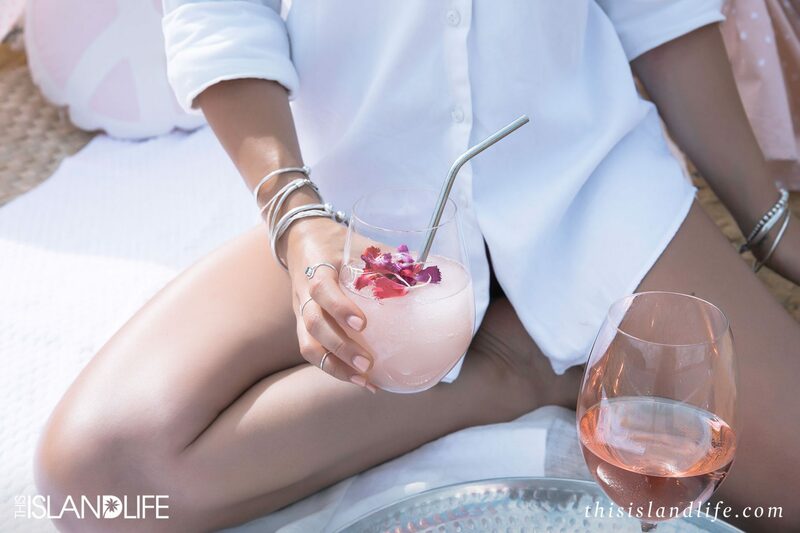 With endless rosé, a rosé swing, the most epic food spread I’ve ever seen, and tunes by some of my favourite DJs including DJ Minx and Yolanda Be Cool, there was no better place to be. To help make your summer even better, Jacob’s Creek are giving This Island Life readers the chance to win a double pass to Laneway Festival Sydney 2017! 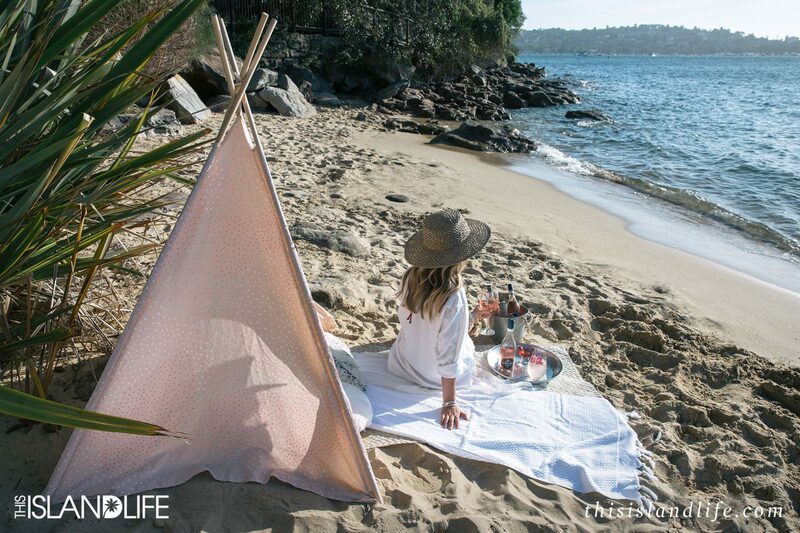 Entering is super easy – all you need to do is take a photo of your best summer moment and post it to Instagram with the hashtag #TheRoséWay and tag @LePetitRose_Au and @ThisIslandLife. This amazing competition closes at midnight AEST 30th December 2016, so get gramming! Details here. 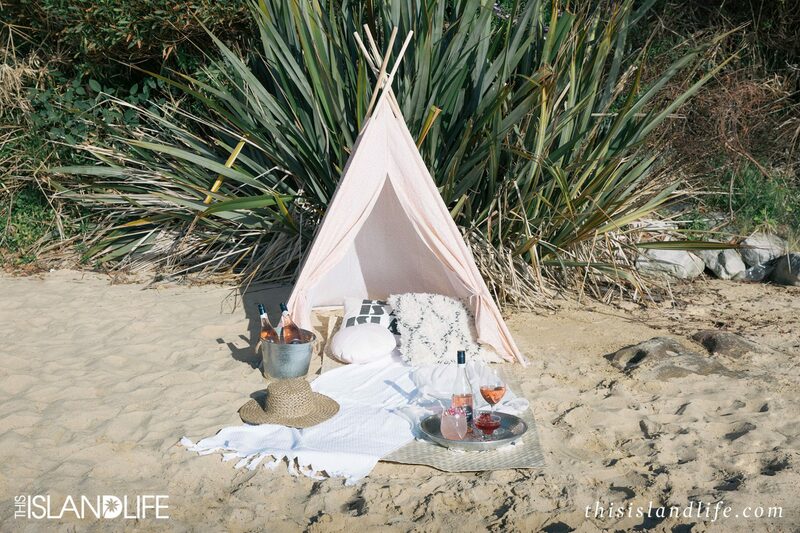 Kmart teepee tent in pink, Kauaiian Lion ‘Love Is An Island’ and ‘Minor Peace Out’ cushions, Freedom ‘Kesi’ cushion, Kmart ice bucket (similar), Sheridan ‘Stevie’ Turkish towel in white, Helen Kaminski ‘Kira’ scarf in white, Dear September ‘Indian Etched Tray’, cocktail glass from Salvos Surry Hills, Plumm wine glasses, and palm frond mat from a market in Samoa. 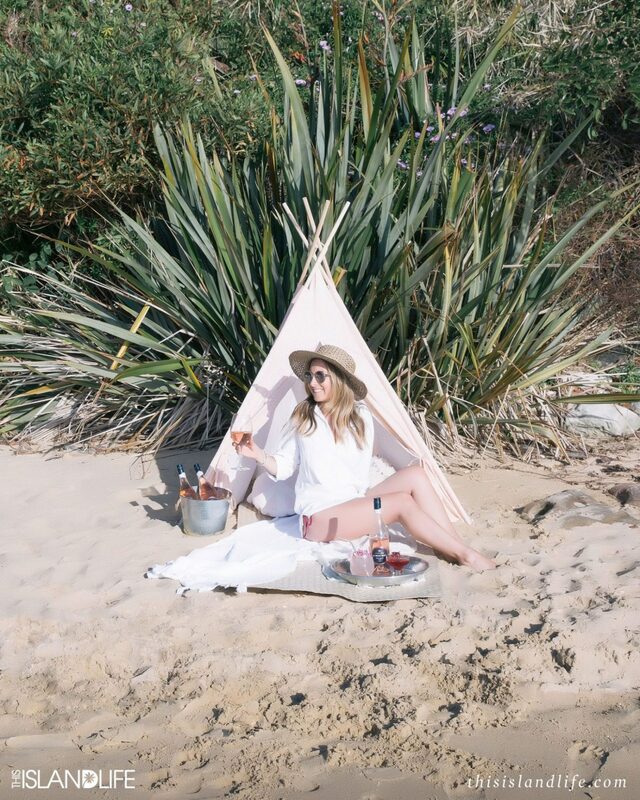 Watson X Watson ‘Cotton Drill Shirt’ in white, Sunday Somewhere ‘Soleil’ sunglasses in silver (similar), First Base ‘Triangle Bikini’ in jewel, and Lack of Colour ‘The Sunnydip’ hat.